Say hello (kitty) to the Sanrio cinematic universe? Deadline reports that Japanese cute-thing giant Sanrio — the merchandise behemoth that encapsulates not just the iconic kawaii cat Hello Kitty but also beloved mascot characters like the lazy egg yolk Gudetama, or the metal-loving office worker Retsuko, better known as the star of Aggretsuko — has inked a deal with New Line and FlynnPictureCo to develop an English language movie starring Hello Kitty. 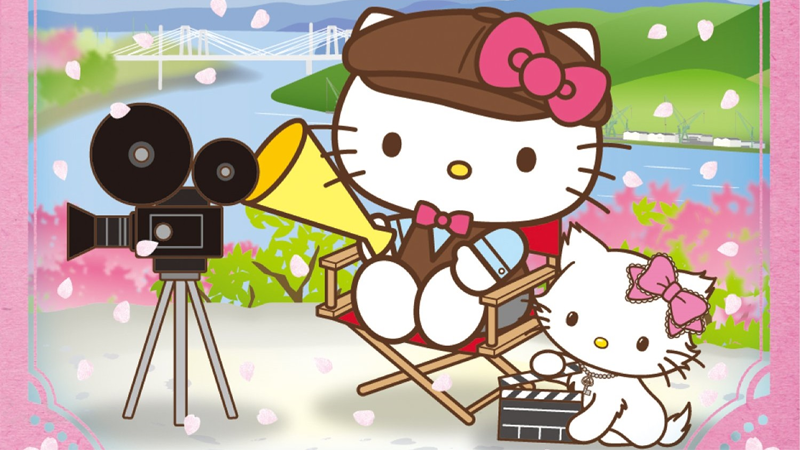 It marks the first time the character has had a film deal outside its native home in Japan, and the first time both Hello Kitty and Sanrio’s massive roster of other characters have been licensed to a major movie studio. Between this and Warner Bros.’ push into the world of Pokémon with Detective Pikachu, and Legendary snapping up the rights to the likes of Mobile Suit Gundam and My Hero Academia, we’re in the middle of a Japanese media renaissance in Hollywood. But given that New Line’s deal isn’t just for Hello Kitty, but a whole bunch of Sanrio all-stars, is this film going to be The Lego Movie of Sanrio, or the gateway to a wide universe of cutesy Sanrio heroes getting their own connected films, too? If it’s the latter, sign me up for the Aggretsuko x Gudetama buddy cop movie. I’d be down for that. Hello Kitty cinematic universe is something I can get behind! I want that buddy cop movie!